As you may know, I love creating a variety of projects. In my spare time, I trade 1s and 0s for more tactile creations, whether it’s soap, decoupage, stone tiles, a garden — you name it. These projects often come into fruition in the winter, when the first frost leads to my loofah harvest and the approaching holidays beckon for homemade gifts. 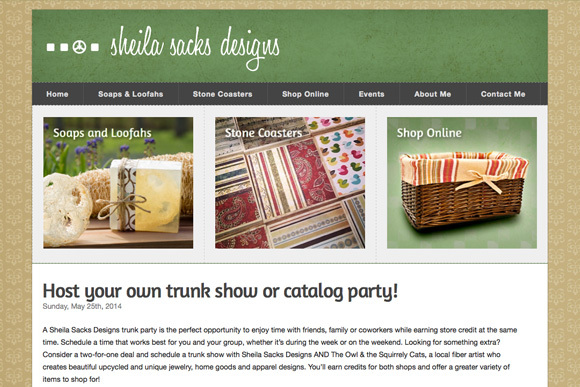 In the past I’ve considered these projects as hobbies, but as of December 2013, I have now established Sheila Sacks Designs as a small business. In addition to the winter craft shows I participated in this holiday season, I’ll be expanding to online sales, trunk shows, craft shows, and festivals throughout 2014 and the coming years. Curious? 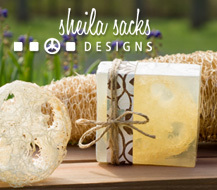 Visit www.sheilasacksdesigns.com to see what other projects I have available for purchase.